CHOOSE PARIS SCHOOL: Your child will thrive! 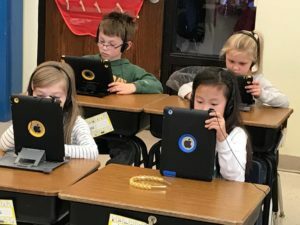 Open enrollment opens doors: For three months each year, the Wisconsin Department of Instruction’s Open Enrollment Program allows families to apply for admission to a school that is outside of their home district. Applications for the next academic year are accepted ONLY during the three-month enrollment period. After the open enrollment period closes, student selection for available K-8 classroom openings is determined by lottery. If more applicants exist than available openings, a waiting list will be established for each applicable grade. Families will receive notification of their lottery status beginning on May 1st each year. TO APPLY FOR open enrollment at Paris School, follow the link below beginning Monday, February 4, 2019. Enter PARIS SCHOOL as your school of choice on the application form.